Studies such as this one from Penn State University (PSU), show that properly inflated tires can cause less compaction than tracks, dispelling the long-held belief that the larger surface area of tracks is superior at distributing the weight of equipment (thus reducing the effect of machinery on the ground). 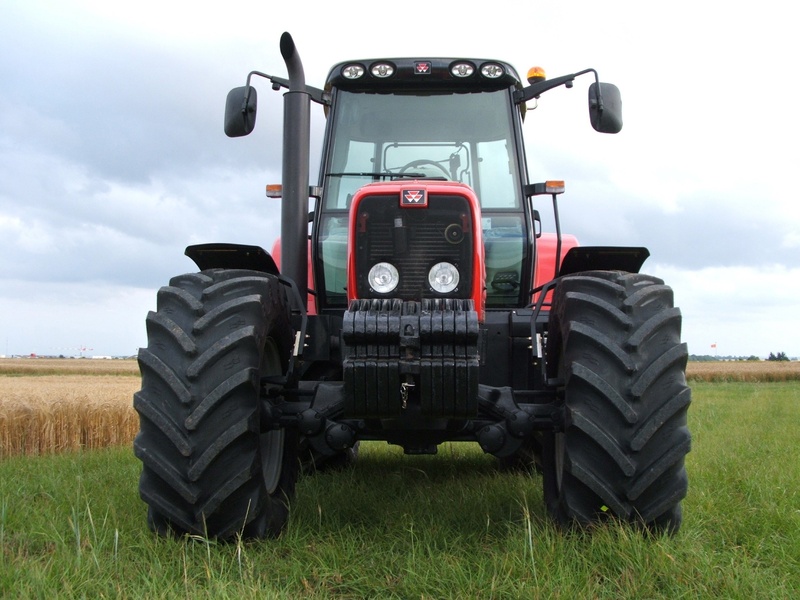 Tires outmatch tracks thanks to their ability to put a uniform amount of pressure on the ground, which distributes the weight of heavy farm equipment evenly over the entire surface of the tire. In contrast, a track’s axles and rollers can create pressure points that generate as much—or more—ground pressure than a properly inflated tire. A machine equipped with tires will be significantly lighter than a comparable machine outfitted with tracks. For example, a John Deere 9560R weighs between 41,540 and 43,410 pounds, while a John Deere 9560RT (the same tractor with tracks instead of tires) weighs between 44,910 to 47,015 pounds—that’s a difference of 3,000 to 4,000 pounds! Recent studies, like those done by Ohio State Univerisity, show that avoiding deep soil compaction is critical, as subsoil compaction can only partially be alleviated with subsoilers, and at considerable cost. The best way for farmers to avoid deep subsoil compaction is by keeping axle loads under 10 tons, and preferably below 6 tons—no small feat when operating a super-heavy tracked piece of equipment. Tires are capable of traveling at higher speeds and dissipate heat better than tracks, making them the superior choice for operations that road their equipment. Additionally, tires provide a more comfortable ride on the road for operators, as the air inside of the tire acts like suspension—smoothing out shocks, jolts, and vibrations. Tires are simply more affordable than tracks. At purchase, a new machine with a four-track system will cost over 20% more than a machine with pneumatic tires. And when it comes to upkeep, there is nothing cheap about the required maintenance of their undercarriage assemblies. Speaking of cost, track systems require more power to rotate the track than what is needed to turn a tire—meaning they burn through a similar amount of fuel (or more) as a machine on tires. Tires, unlike tracks, are available in a wide variety of sizes, tread patterns, and technologies—in other words, there is a tire available for almost everyone’s particular needs. Compare that to your plain-vanilla choice for track designs. (Sorry, vanilla lovers.) Even better, tires like our radials and AgriFlex IF/VF tires are adaptable to different surfaces by simply adjusting their pressure—you can operate them at high pressures for traveling on the road and low pressures for minimizing compaction in the fields. Of course, a tire’s ability to outperform tracks hinges on it being operated at the correct tire pressure. Get yourself a good pressure gauge and get in the habit of checking your tire’s pressure often. If you’re not sure what pressure your tires should be inflated to, consult your tire manufacturer's load/inflation tables or work with your local dealer. Watch our Tireside Chat: The Value of a Pressure Gauge and learn how to maximize your machine’s performance for about $5. Contact your Alliance dealer or representative to learn more about our wide range of farm tires and how they can deliver the same benefits of tracks without the cost.